A few of you have reported that you've had problems with USB connectivity so we looked at this in greater detail. 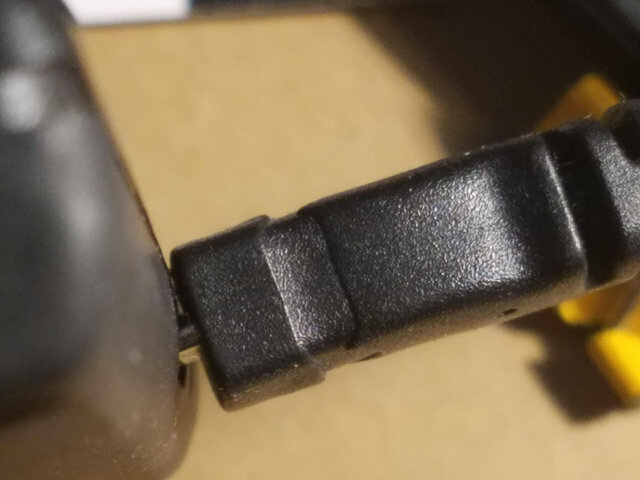 The DM42's USB connector is close to the tolerance regarding its distance to the edge of the calculator. 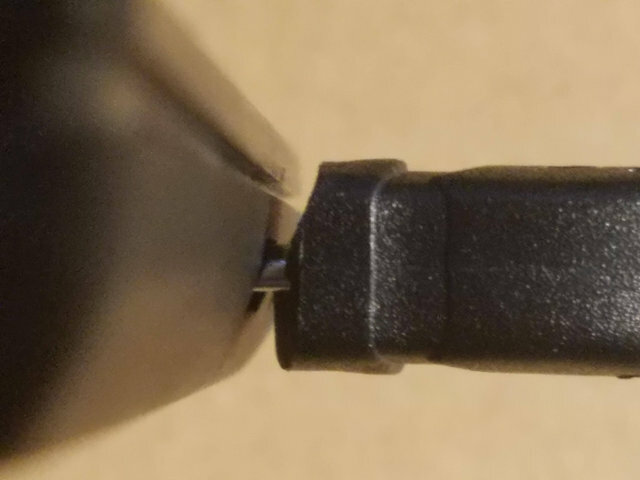 If a cable is used of which the length of the actual connector is also close to the tolerance then the casing around it might well come into contact with the DM42 if that casing is a bit bulky. This could prevent you from inserting the connector far enough. We're only talking about tenths of a millimetre here but that's clearly enough to get in the way. In order to test this theory, try removing the rear case and connecting the USB cable again. If you now have a stable connection then connector length/recess is indeed the problem. In case someone else finds that they need to buy a connector: What you are looking for is a cell phone charge/sync cable; Micro-B to A, USB 2. I was looking in the "Computer Cable" section in my local electronics Big Box store and couldn't find it. There were lots of USB varieties but nothing with a Micro-B on one end. I asked a sales person if they had another area with cables and, seeing my "cell phone" (DM42) in my hand suggested the cell phone cable section. I hadn't thought to look there. Acquired in order: HP 41CV, CMT MC-GPS, HP 41CX, DM41, DM42! Thanks! I realized after spending a lot of time with the driver that it was the problem, and reached the same conclusion: I tried by opening the case to get a proper connection and it worked. Without that, I get the icon on the calculator telling me it's connected to an USB power source, but still it fails to connect, which is *very* confusing (it's too easy to believe it's an USB driver issue on Windows). So don't get fooled by that! I'm not pleased, especially after seeing the DM42 has key debouncing issues, but I hope at least it'll help if someone else is confused by the USB icon. Make sure you have a good and proven working USB data cable and not only for POWER delivery. Yes those cables exist and put the most avid user sometimes in a difficult spot and in hindsight caught off-guard. I had this twice with a borrowed cable in the office here. They need to be good otherwise no data exchange. I had read that the power pins of the USB connection may be slightly longer, so that power is up before the data pins are connected. Whether that's true or not, I don't know, and I think it referred to the USB-A (i.e. PC/host) end. That would explain it, however when it happened it was confusing. Even more so because I had previously connected it with another cable and by luck it didn't have that issue.